24 Disney Dining Hacks You'll Regret Not Knowing! 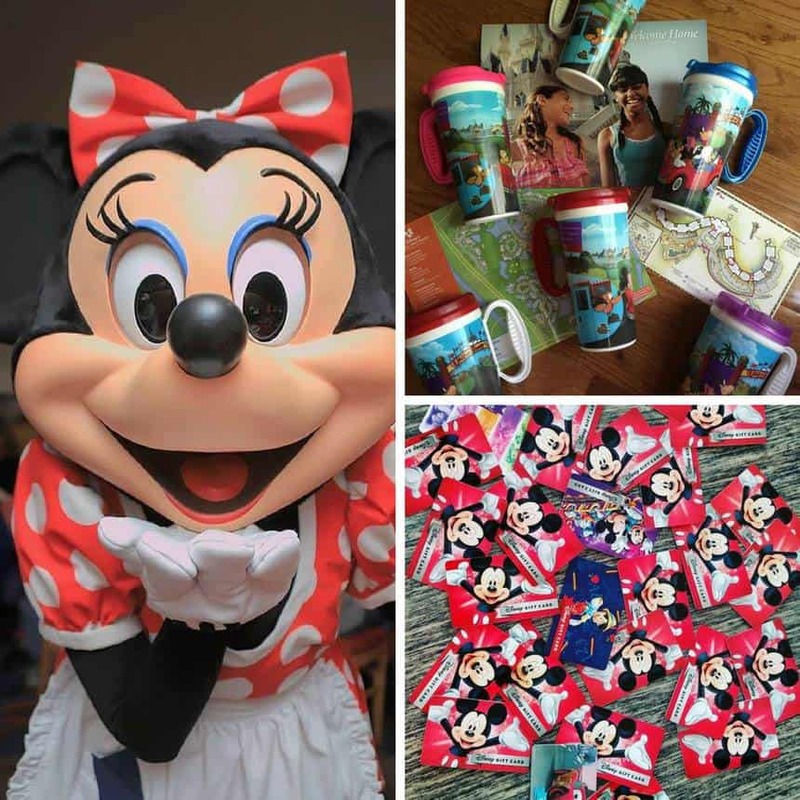 Home > Disney Hacks > 24 Disney Dining Hacks You’ll Regret Not Knowing! When you’re visiting Disney World food is all part of the magic. Check out our Disney Dining hacks so you can make the most of the experience! When you start planning your Disney World vacation you’re probably thinking about which hotel to stay in and which rides and shows you want to experience. But make sure you take some time out to think about food too. Because all that walking sure helps you work up an appetite, and Disney World has some great food experiences that you will not want to miss! Today we’re bringing you some of the best Disney Dining Hacks so you can really make the most of it… just don’t blame us if you put on a few pounds…! Otherwise known as Bring Your Own Breakfast. Did you know that the parks are quietest from opening through to about 10am in the morning? If you eat breakfast in your room you’ll be much more likely to be at rope drop before the park opens and ready to take full advantage of that quiet time, while everyone else is having a leisurely breakfast! If you’re driving to Disney World you can easily pack a box of breakfast items to bring with you, or if you’re flying simply order your supplies from Amazon and have them delivered to your room. It’s also a good idea to pack or order a plastic picnic set so you have something to eat with! If you’re on the Dining Plan you can also use your snack credits to pick up muffins the day before. 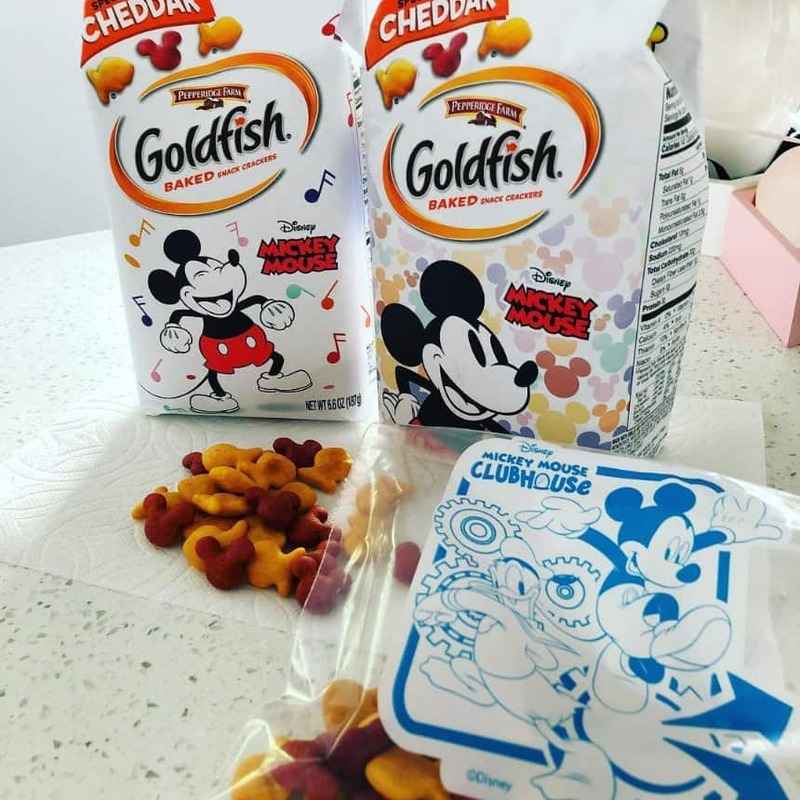 The kids will go crazy for Mickey ears goldfish crackers! Speaking of snacks… you should Bring Your Own Snacks too. Well unless you’re on the Dining Plan as you’re covered there. On theme park days you will literally walk for miles, and all that walking really works up an appetite so you’ll want to carry some healthy snacks in your daypack. Either buy snack sized packets to bring along with you, or a box of ziplock snack bags so you can make up your own travel sized snack bags! Again you can bring them from home or have Amazon deliver a box of goodies to your hotel room. While you’re making that Amazon order check out our list of other insanely useful things you might want to have delivered to your room! Since you ate an early breakfast in your room and hit the parks early you’ll be ready for lunch early, which gives you two benefits. First you can eat at the latest breakfast sitting at table service restaurants and save money since breakfast is cheaper than lunch. And second you’ll be ready to hit the rides again while the crowds are enjoying their lunch! Since you ate lunch early you can now enjoy your dinner earlier than other guests. Again by reserving one of the last sittings for lunch you’ll save money over the dinner menu prices and you can ride while the crowds eats dinner! Disney portions are generous, especially if you’re from the UK, so feel free to share. We often have ample food when we split two adult meals and an extra side or two between our family of four. It’s well worth taking the the time to figure out whether you could save money by purchasing one of the Disney Dining Plans. In fact if you’re travelling in the Fall ask your travel agent whether the Dining Plan is being offered for free for your vacation dates. If you do decide to add the dining plan make sure you read our tips on how to maximise your credits, and make your snack credits go further. Save money on food by buying discounted Disney Gift Cards before your trip! If you don’t want to go with the official Disney Dining Plan you can budget ahead of time for meals using Disney Gift Cards instead. 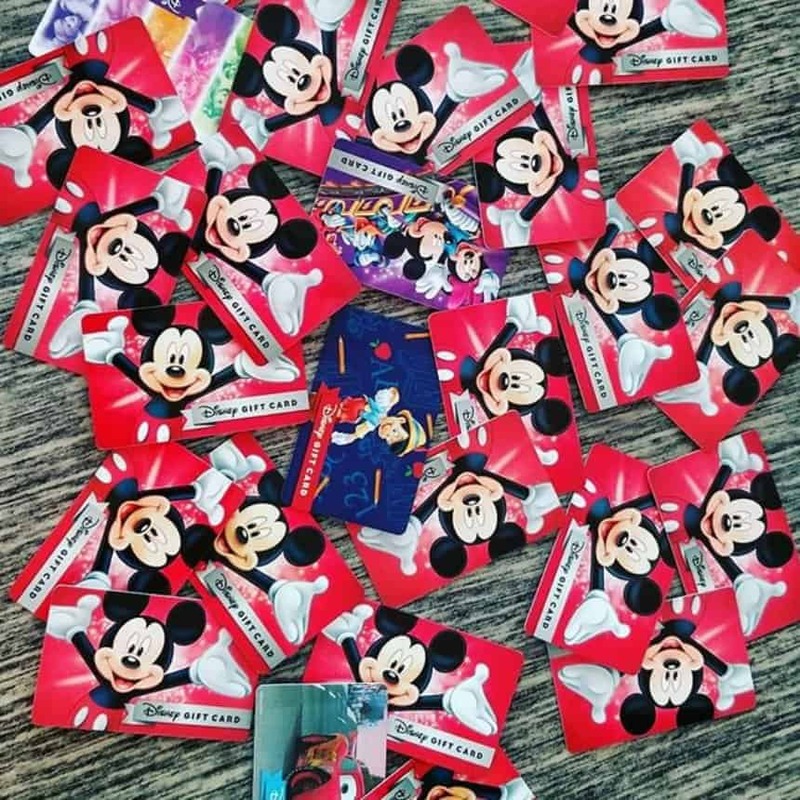 If you have a Target Red card you can buy Disney Gift Cards in store or online with a five percent discount (because they’re classed as entertainment cards). You can then take those gift cards with you to pay for your meals. Speaking of Target, don’t forget that if you do your regular online Target shopping through your Ebates account you’ll earn cash back which you can use as spending money on your trip! You might think an Annual Pass is only a worthwhile investment if you’re planning multiple trips within 12 months, but it can save you money on food so it’s worth considering. As a passholder you can often save 10% at table service restaurants across the resort (as well as discounts on souvenirs and free Disney Photopass downloads). You also have the option of purchasing a Tables in Wonderland membership which increases that discount to 20%. The discount is good for up to 10 people so it’s worth seeing if there’s a benefit to one person in your party buying an Annual Pass. Whether you want quick service or table service there are so many fabulous restaurants both in the parks and the Resort hotels there is something to cater for every taste. If this is your first trip then spend some time browsing this restaurant guide which has lots of photos and menus to help you. If you plan on eating at any table service restaurants during your trip you need to make your reservations in advance. Six whole months in advance to be specific. Check out everything you need to know about making advanced Disney Dining reservations. If you don’t have time now to make reservations, or you just can’t get the ones you want think about eating at a resort restaurant instead. They’re generally quieter so you’re more likely to be able to walk up and be seated in under 15 minutes. And you’re not just limited to the restaurants in your hotel, you are encouraged to visit any of the resorts to eat at their restaurants. Check out our post on why you should visit other Disney resorts during your stay. 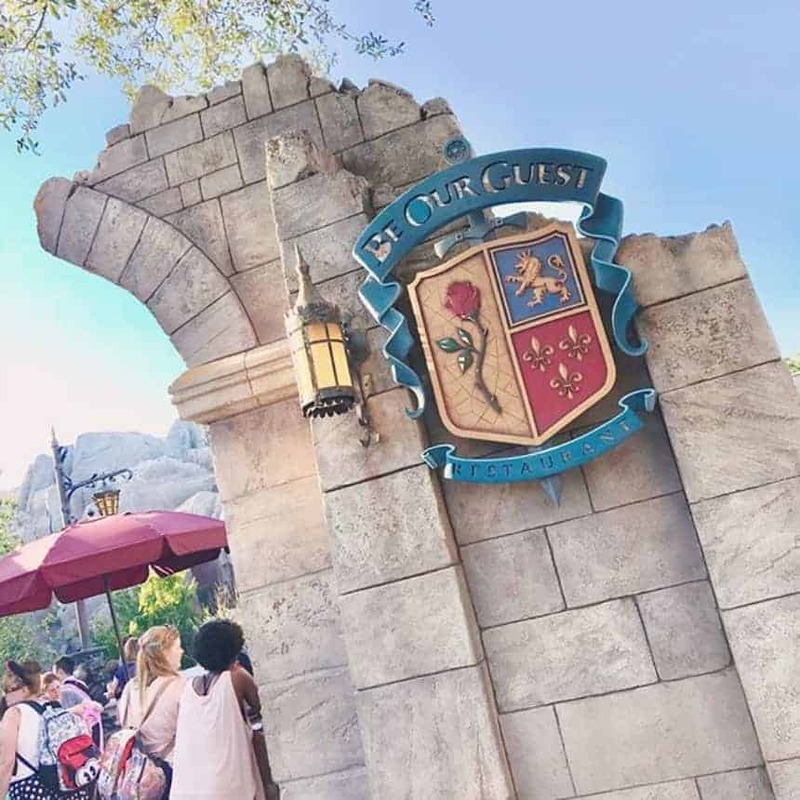 If you really really want to eat at Be Our Guest (or any popular restaurant for that matter) you can check on the My Disney Experience app each day to see if a table has come available. Just because a restaurant is marked as sold out doesn’t mean someone needs to cancel their reservation at the last minute so it’s always worth just walking up to the check in desk and asking if they have a table. You never know you might get lucky! Speaking of cancelling reservations, you’re on vacation and life happens and plans change but if you’re not going to be able to show up for a reservation you need to cancel it before midnight the day before or you’ll be charged $10 per person. You can save time by skipping the lines and ordering your food using the My Disney Experience app at 23 different counter service locations. You can pay for your meals with your credit or debit card and as of January 2018 you can also use your Disney Dining Plan credits to pay for your mobile food order. You could place your order while you’re at the restaurant, but to save the most time you’ll probably want to place your order while you’re waiting in line for an attraction. In which case you’re done, until you’re ready to eat. When you walk up to the restaurant you should get a notification on the app asking if you’re ready to eat. If not you can hit your character button on the app. Then tap on the “I’m Here, Prepare My Order” button and your order will be sent to the kitchen. When you’re order is ready you’ll get a push notification to your phone with your order number alerting you to go to the Mobile Order Pick Up counter to collect it. Unfortunately you can’t currently get Annual Passholder, Disney Vacation Club or Tables of Wonderland discounts if you order food this way, but to be honest if the restaurant is busy you might be willing to save the time over the money! If you are travelling during high season the lines to meet the characters can be almost as long as the lines for the popular attractions. Save yourself (and your kids) a lot of frustration and waiting in line by booking a character dining experience instead. 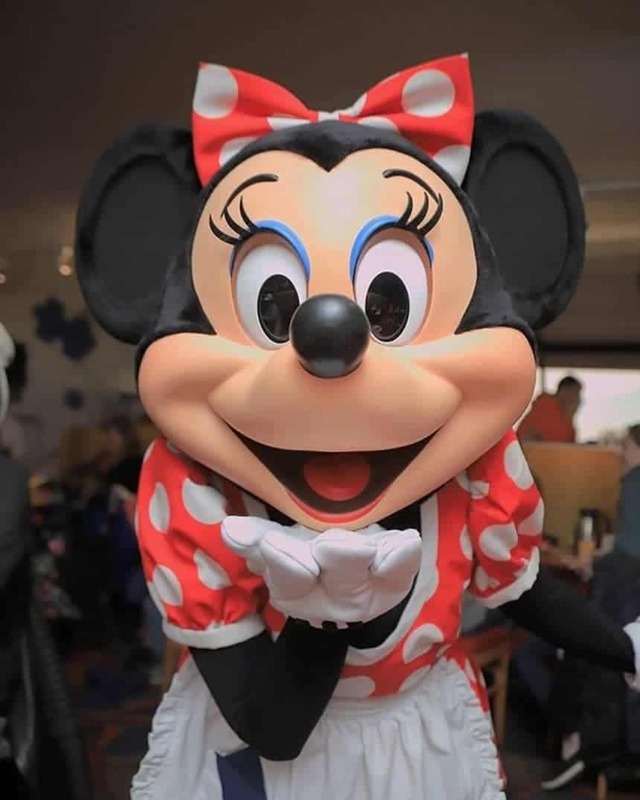 Each character will stop by your table for hugs and photographs while you enjoy your meal. If you’re on the Disney Dining Plan you might want to book multiple character meals because they’re a really good way to “spend” your meal credits. If you have food allergies or intolerances and you’re worried about dining at Disney World don’t be. The chefs are well trained in looking after guests with special dietary requirements so even if you can’t find anything on the menu they’ll do their best to make something for you. If your child doesn’t like any of the options on the kid’s menu ask the server whether they can have a child’s sized portion of an adult meal instead. 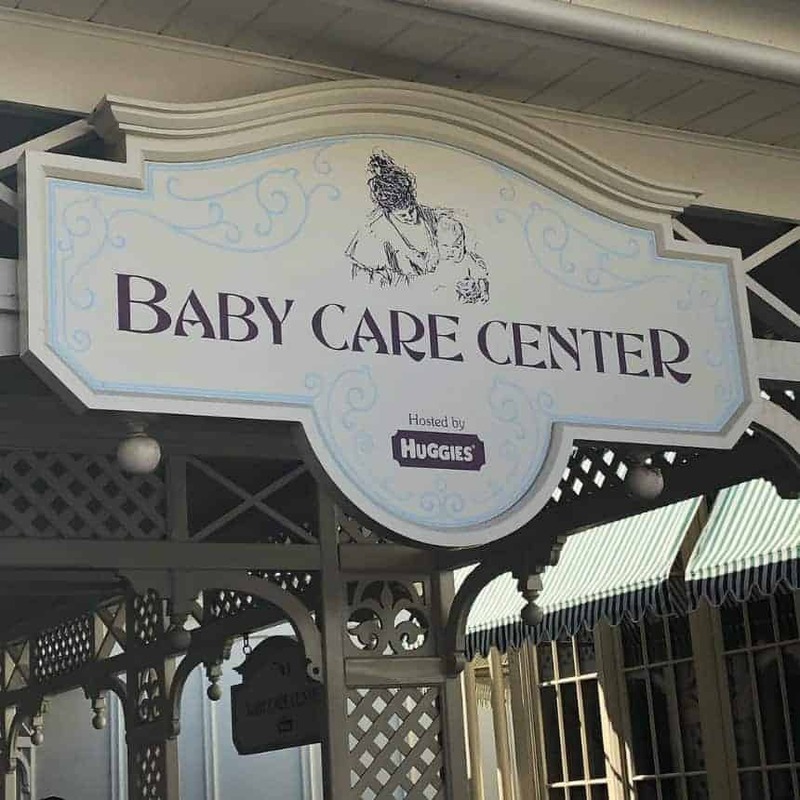 Whether you need to nurse your baby or feed your toddler the Baby Care Centers in each park have everything you need from comfortable chairs to microwaves and cartoons. They also have all kinds of baby supplies including baby food, formula, sun screen and diapers. Just in case you run out of anything. Whenever we’ve used them they have always been super quiet, and cool so it’s the perfect place to go to get away from the heat and crowds if your little ones are getting fractious. You can ask at any of the restaurants for a cup of ice water and they will happily oblige. If you don’t like the taste of Florida water carry some Crystal Light or Stur sachets with you to make it taste better! Use your plain or flavoured tap water to fill up one of these collapsible water bottles so you can keep yourself hydrated until your next meal break. Unlimited drinks for the price of a mug! If you love coffee or soda and you’re staying at a Disney World Resort hotel it’s well worth your while investing in a refillable mug which currently costs $18.99 plus tax. 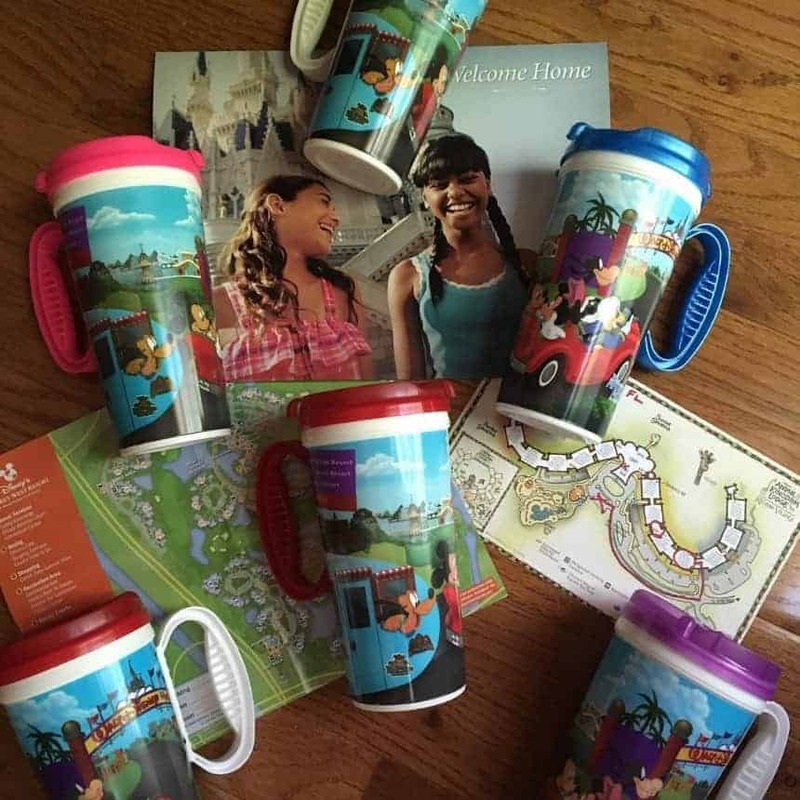 If you decide to go with the Dining Plan then you’ll get a mug as one of your perks. You can refill your mug at one of the self service stations at your Resort (or any other resort actually but not at the water parks or the theme parks) for the duration of your stay. There are lots of choices of drinks you can fill your mug with (which change from time to time) but you can’t fill it with alcohol, milk or fruit juice. It’s worth knowing that your mug is microwave and top rack dishwasher safe but make sure you don’t do either while you’re actually at Disney because you’ll destroy the RDIF chip and you won’t be able to refill it anymore! If you can’t bear to drink Coca Cola you’ll need to bring your own Pepsi, or have Amazon ship a box to your resort. 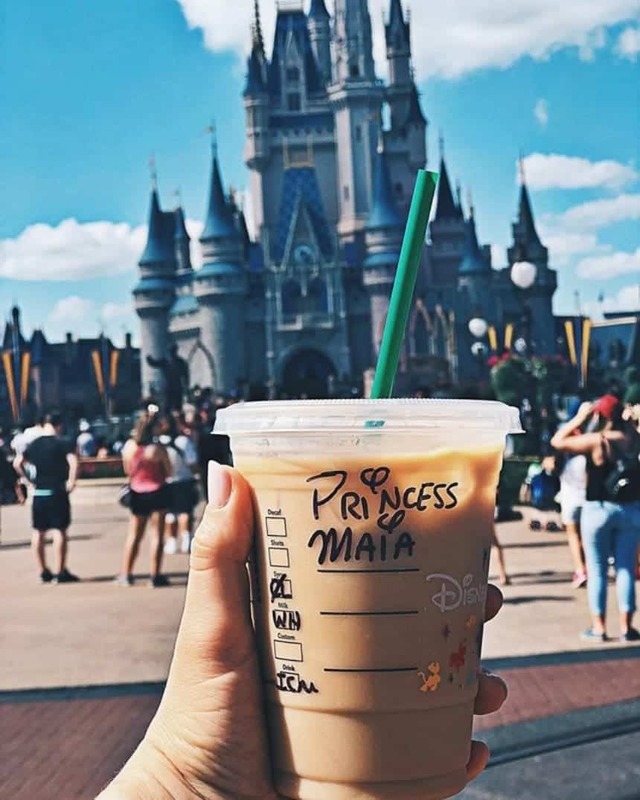 Did you know that coffee in the theme parks is served by Starbucks? If you want to save money on your coffee fix ask for Starbucks gift cards for your birthday or Christmas and bring them along to get your fix on vacation! Don’t forget you can also redeem your Swagbucks points as Starbucks gift cards too for free coffee! If you’re trying to do Disney on a budget then one of the easiest ways to save money is to eat dinner off property. There are numerous restaurants on Highway 192 in Kissimmee or the 535 that are within 10-15 minutes drive of the Resort. Previous PostPrevious Will the Disney Dining Plan Actually Save You Money? Next PostNext 6 Hollywood Studios Attractions Your Preschooler will Adore!